This beautiful bird is the white-naped crane (Antigone vipio), an Asian crane that breeds in northern Mongolia, northeastern China, and neighboring parts of Russia. The eastern members of the species winter in Japan and Korea, including the Korean demilitarized zone. Japan and Korea play important roles in my family history, so maybe that’s why this particular pair of cranes were so cooperative in letting me take their pictures. 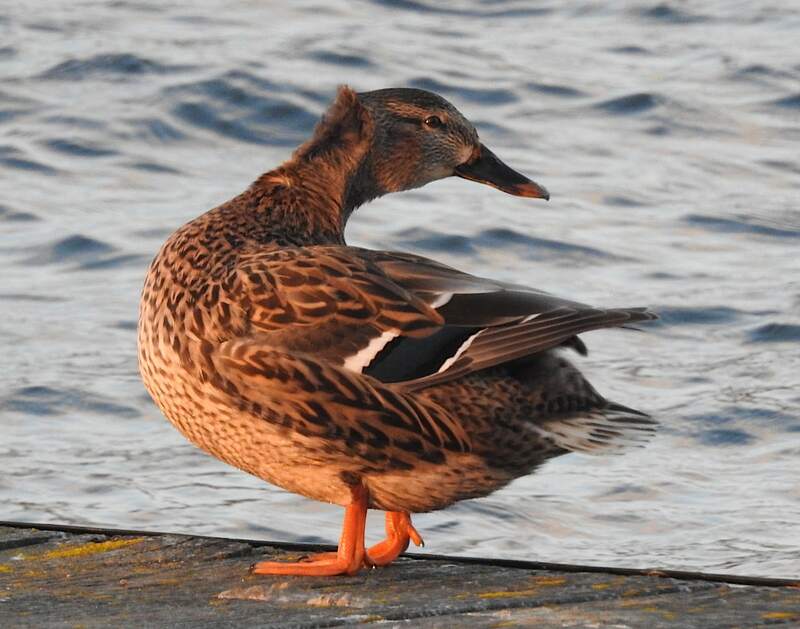 Most domestic duck breeds are descended from mallards and classified as the same species, Anas platyrhynchos. So it can be hard to tell if a white duck is an escaped domestic or a mallard that lacks feather pigments. Whatever the case may be, this one is pretty cute. I took a lot of pictures. Today is a photo post in praise of the great blue heron (Ardea herodias), the largest heron in North America. It can be found from southeast Alaska and southern Canada down through Mexico and the Caribbean to Central America. Wisconsin is toward the north of its winter range.